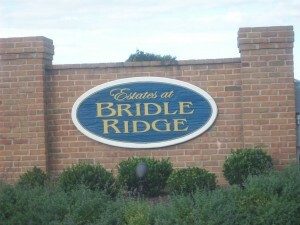 Estates Of Bridle Ridge is for Horse Lovers! Lewes homes for sale in a horse friendly is at The Estates of Bridle Ridge are family friendly suburban homes with houses ranging from $395,000 to $650,000, offering from three-bedroom homes for the modern family to purchase. This is a sound investment for any family to grow up in very green surroundings for the children to play, hold a gathering such as a picnic or to even just lie in the sun.These homes are custom homes of four bedrooms and three baths, a wonderful gourmet kitchen, a marvelous living room and dining room with a master bedroom on the first floor. It has a guest room with a shared bathroom also on the same floor. It has an extra room or some might call it a 5th bedroom depending on number of people sleeping at home. The internal features of Estates at Bridle Ridge are what every modern family home should have. For luxury and comfort we have ceiling fans for that cool air on those hot summer days and a gas fireplace for those cold winter nights. It also includes a bedroom-entry level, master suite on the first floor with another bedroom. The master bedroom has a full bath with a divided shower and bathtub. Windows have screens to let in warm air while keeping out bugs from your rooms and hair with storm doors and window treatment. For the bedrooms in Estates at Bridle Ridge we have walk-in closets. As for appliances available they include a central vacuum, waste disposal unit, dishwasher, fridge with an ice maker, microwave of course, a large oven with six burners for cooking. All Estates at Bridle Ridge are fitted with a forced air, gas, multi zone heating system and both a central A/c cooling system and zoned A/c to boot. The home is craftsman finishing style combining hardwood, carpet and tile floors. It has a patio and a rear deck, a garage and an exterior vinyl siding finishing. External AttributesEstates at Bridle Ridge are on a one-acre piece of green property with limited fencing, an irrigation system for the grass and/or garden and an outside shower for those fun-filled summer days. This all make for ideal outdoor family home and easy maintenance while having home comforts.